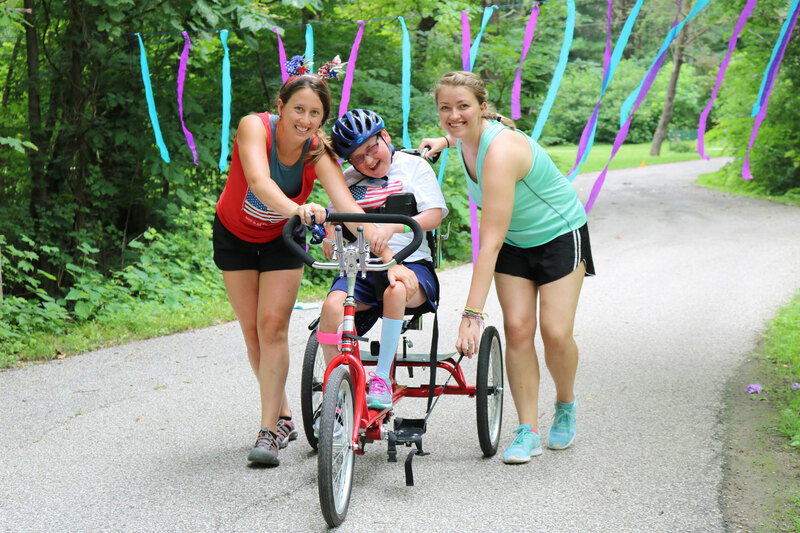 The Bradford Woods Recreation Therapy Department seeks to empower individuals of all abilities by providing recreation therapy in a traditional camp environment where participant’s needs are always put first. In partnership with Riley Children’s Foundation, Riley Hospital for Children and other non-profit agencies we offer this outdoor experience in the summer and year round by serving youth and adults with various diagnoses and chronic illnesses. Our Therapeutic Camp program is designed to support each group’s medical, social, and physical needs. Camps are grouped by either diagnosis or level of care needed to ensure that each child has their specific needs met. This also provides a unique opportunity for youth to form social connections with and receive support from others who have similar life circumstances. Our guiding philosophies are what we call the 3 E’s: Empathy, Engagement and Empowerment. We seek to empower all individuals that come to Bradford Woods by providing an accessible space for individuals to discover their strengths and overcome barriers to meet their goals. We follow Recreation Therapy practices and philosophies to achieve these outcomes and also conduct research to further our field to create a lasting impact. APIE(D) is a systematic process used by health care providers in recreation therapy settings. The client’s physical, mental, social, emotional, and spiritual domains are included in this process. We use the APIE(D) process with all of our summer campers to help them achieve goals and gain greater independence.